Originally titled Nippon Kogaku K.K. (Japan Optical Industries Co., Ltd) on July 25, 1917, the company began designing and producing optical instruments such as rangefinders and telescopes, and had no initial intention of mass-producing cameras. At this point, there was an urgency within Japan to produce lenses domestically. Designers were brought in from Europe and, after much trial and error, 1929 saw the first lens produced by the company. Nikon settled upon NIKKOR after deciding to combine the “NIKKO” abbreviation of the “Nippon Kogaku” company name, with the letter “R” often used as a suffix for photographic lens names at the time. This name was registered as a trademark in 1932. The name came about after the initial suggestion of “Nikorette,” derived from the “Nippon Kogaku” company name, and added an “N” to the end to create a more masculine impression. 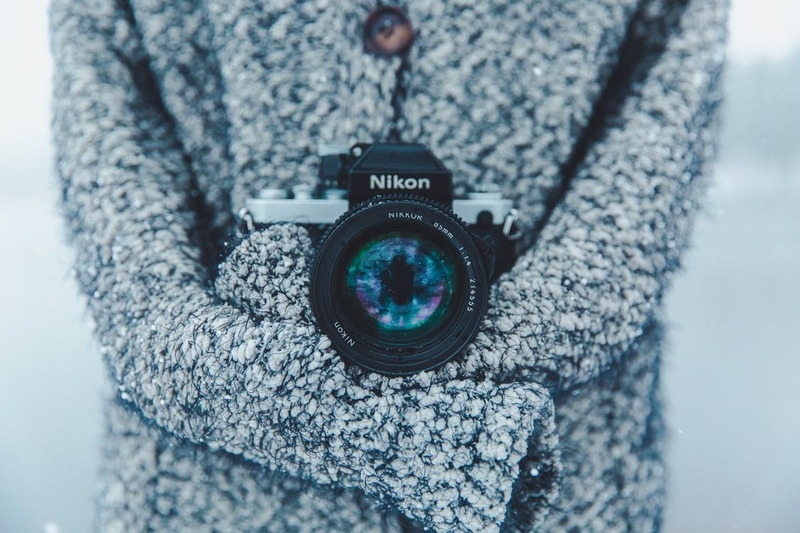 Although now their brand name, the name Nikon was primarily attributed to the first camera produced by the Nippon Kogaku company. Serious camera production did not begin until after the Second World War. The company’s Nikon Model I was launched in March 1948, a blend of both pre-war Contax and Leica rangefinders. 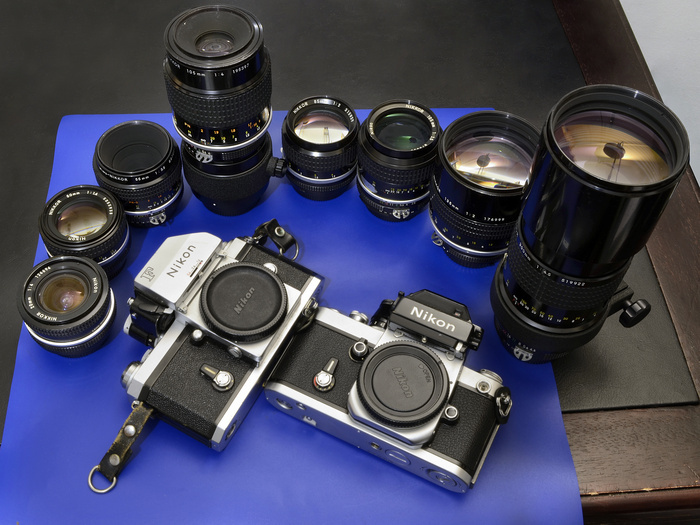 The Nikon F, including interchangeable prisms, focusing screens, a depth of field preview, a large bayonet lens mount, and a fully removable back, was the first SLR from Nikon, and revolutionary in its day. It was a popular choice with war photographers. Production surpassed 860,000 bodies, and its bayonet lens mount is still a feature of every Nikon DSLR today. It was January 1971 when NASA and Nikon teamed up, with the latter supplying cameras to record the Apollo 15 mission. Nikon were under strict instruction and guidance from NASA in regards to using materials that allowed the cameras to function in space. The cameras were designed to photograph the Earth’s ozone layer and auroras. The f/1.2 aperture of the NOCT-Nikkor 58mm f/1.2 meant it was the fastest NIKKOR lens ever made (along with the 50mm f/1.2 AI and 55mm f/1.2 NIKKORs). More significant was the optical performance; At f/1.2, image sharpness and contrast at the center were as good as other standard lenses when stopped down. With the Nikon F3 came the first electronic shutter control and aperture-priority auto-exposure control mechanism. Thanks to Italian Designer Giorgetto Giugiaro, a red line was added to the design, and it was also the first time that color had been included on the exterior of a pro SLR. On April 1, 1988 the Nippon Kogaku K.K. company restarted as the Nikon Corporation, changing the name to make it easier to expand as an international company. 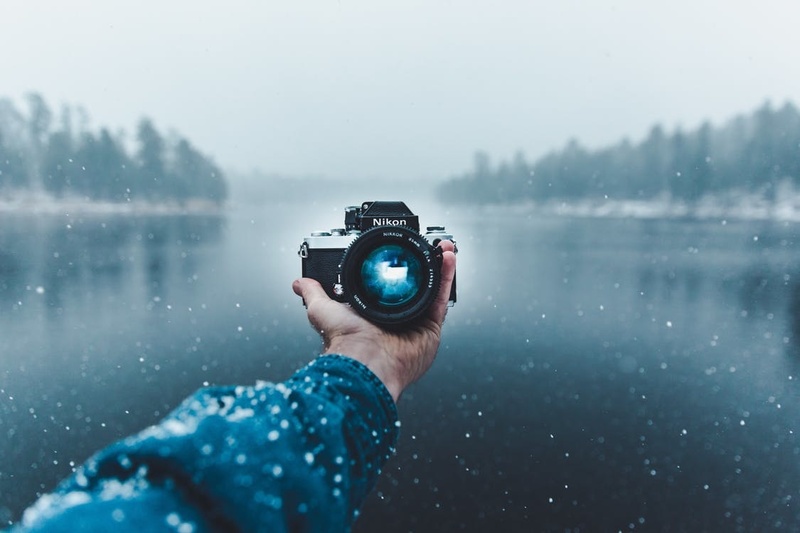 At this stage, autofocus was a large concern because body-integral AF systems were in their infancy and many pros remained unconvinced about relying on AF. Nikon focused on developing an advanced and dependable body-integral AF system. When the F4 launched, it included fast tracking for moving subjects and was the first camera to scrap cranks and levers in favor of buttons and dials. 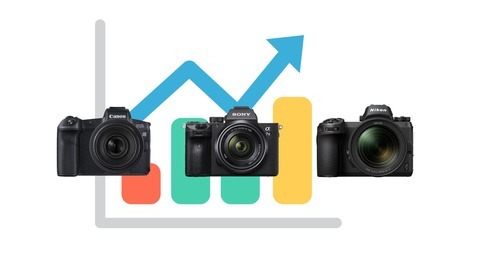 With “superb image quality” and “ultra-high speed” as the end goal, Nikon employees were set the task of developing their latest model in just two short years. The D1 adhered to all the required strengths. Clocking in at around a third of the price of its rivals, it played a key role in the popularisation of digital SLR cameras. 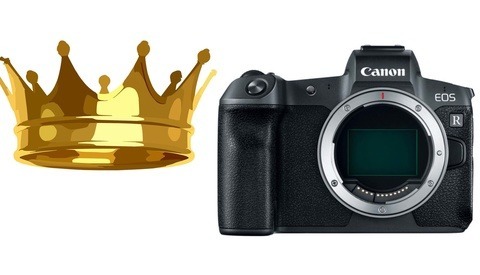 The D1 featured a 2.7-megapixel image sensor and 4.5 frames-per-second continuous shooting. Its release is seen as a milestone in the digital photography era. Nikon’s first full-frame camera, the D3, was announced in 2007 and released the following year. It featured a record-beating continuous drive of 9 fps, a 51-point autofocus system, and a 3-inch LCD monitor with a 922,000-dot screen. Critics were impressed the now-expected auto ISO mode, which set the ISO rating to meet your desired shutter speed, pioneered by the D3. The D90 is largely regarded as the camera responsible for fueling the video-recording revolution. The D90 offered HD video and sound recording (1,280x720 pixels at 24fps) for the first time. 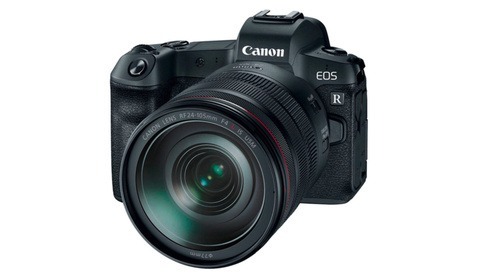 With its FX-format sensor packing 36.3 effective megapixels, it caused much excitement. Features included the EXPEED 3 processor, the 51-point Multi-Cam 3500 FX autofocus system, and the 91K-pixel metering system. It was also capable of focusing right down to -2 EV, which, coupled with its ability to shoot at up to ISO 25,600, made it excellent for low-light shooting. Nikon has prepared a range of special-edition cameras, lenses, and accessories to mark its 100-year milestone. Heading the line-up are 100th Anniversary Editions of the current flagship FX and DX DSLRs — the D5 and the D500 — each of which features an attractive metallic gray body with a 100th Anniversary logo on one side of the pentaprism. 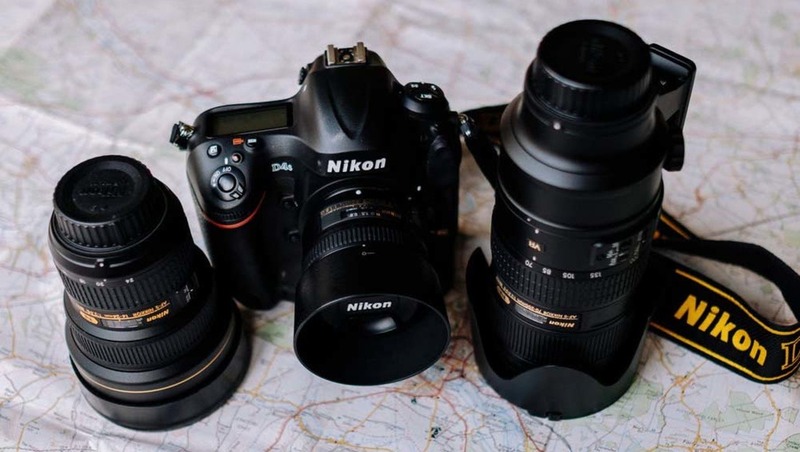 Both the D5 and D500 are supplied with specially designed body caps and embossed leather straps, each of which features the 100th Anniversary logo, and come cocooned in a bespoke metal case with a plate engraved with the 100th Anniversary logo, along with the camera’s serial number. The first camera I ever bought was an old, then roughly 10-year-old F Photomic, which I picked up on their 57th anniversary. I picked it up at a pawn shop for about $125 ($625 in today's money). I had no idea what I had just immersed myself in, I just thought the camera looked cool. The Photomic body and prism looked like this: http://www006.upp.so-net.ne.jp/sp5/nkf/650f0.htm. Damn I wish I still had my F3HP, it was like an old friend.